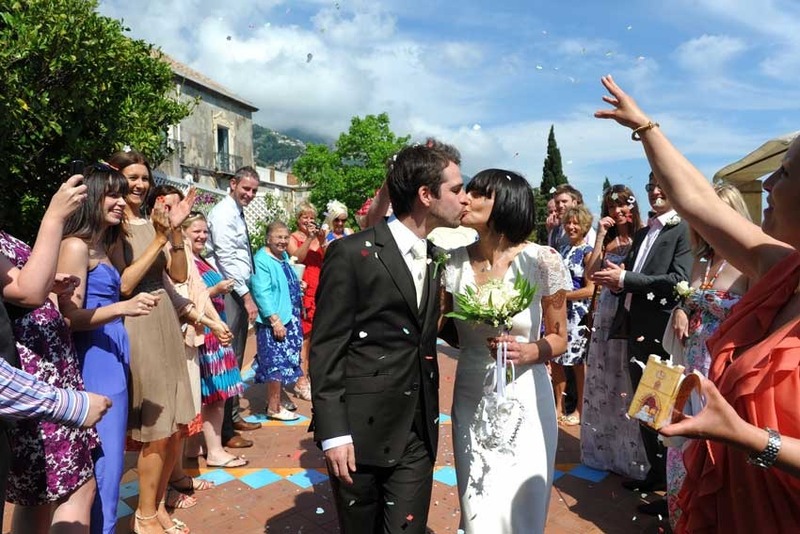 Celebrate your wedding in Positano with a civil ceremony! Positano is one of our couples’ favorite destinations in Italy for a civil wedding ceremony as weddings will be celebrated outdoors on the beautiful terrace overlooking the sea. 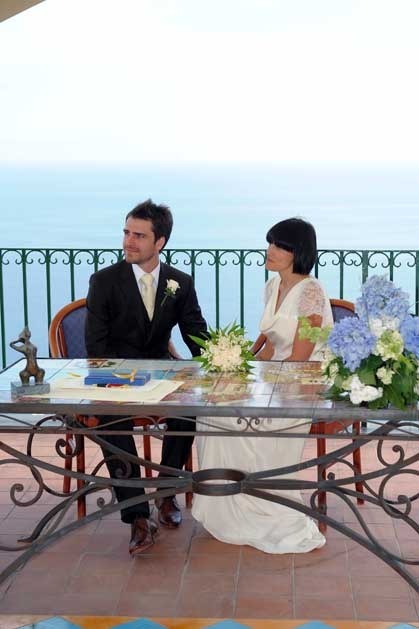 Therefore if you are planning an open-air civil ceremony overlooking the sea, Positano is the best wedding destination! The town hall of Positano stands on the highest part of town, on a picturesque area that dominates the entire village. Civil weddings in Positano are celebrated at the local town hall in a nice Mediterranean style white building typical of the area. 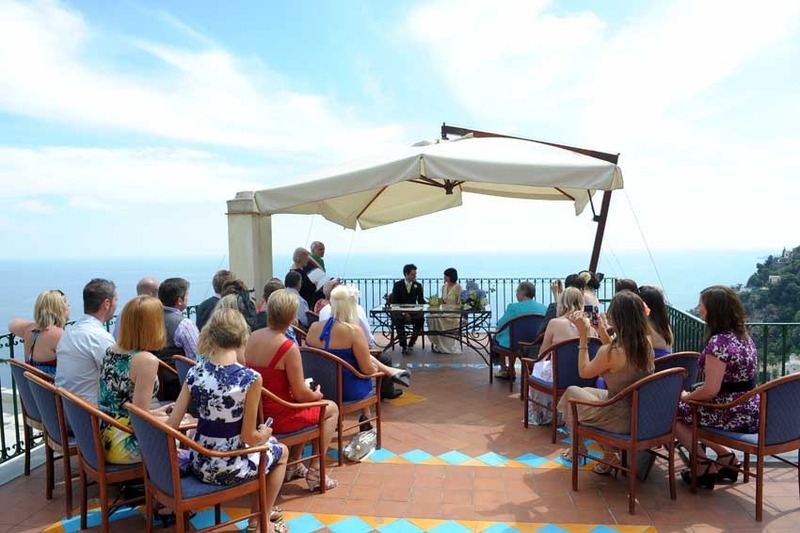 If the weather allows it, the Civil wedding ceremony is performed on the beautiful panoramic terrace overlooking the sea and spouses can enjoy amazing views of the bay of Positano while exchanging their wedding vows. The indoor hall, which is used in case of bad weather can hold up to 50 guests, while the outdoor terrace fits a larger number of people. 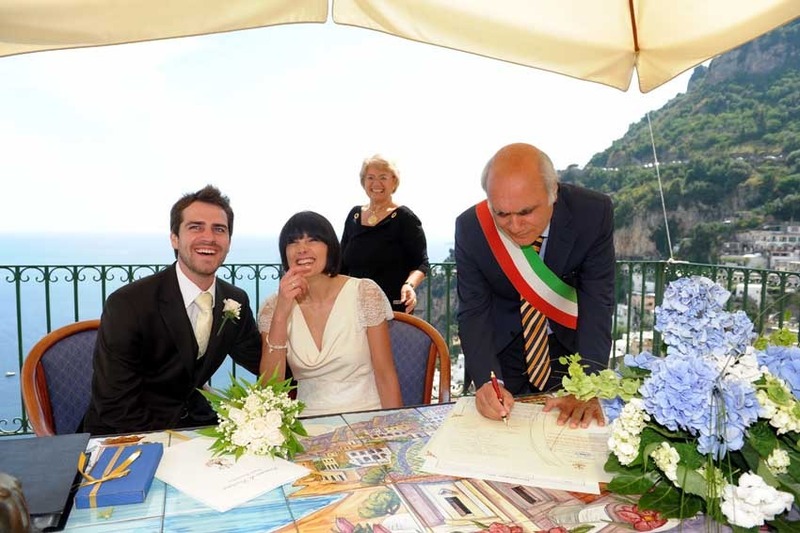 Civil wedding ceremonies in Positano are performed from Monday to Saturday in the morning and in the afternoon. The ceremony is conducted in Italian with the assistance of an English-speaking interpreter (compulsory). 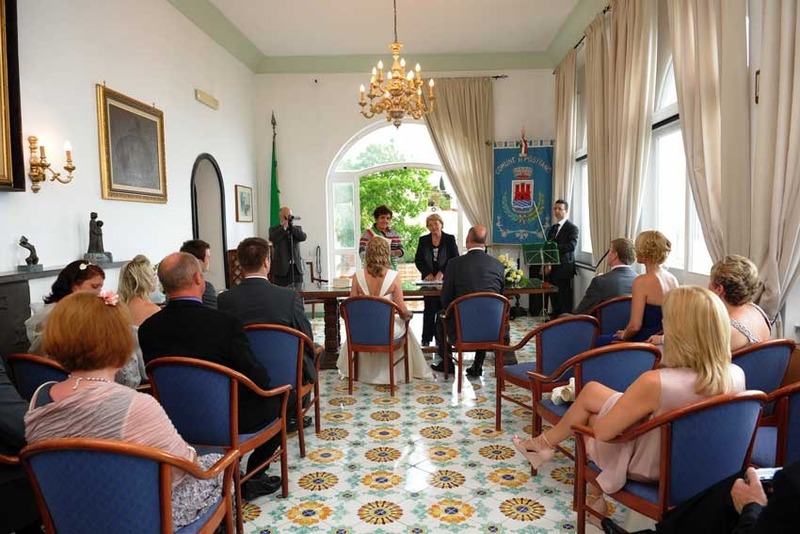 The civil rite in Positano can be personalized with your own vows, readings and music. The best time of the year to get married in Positano goes from April until the end of October. 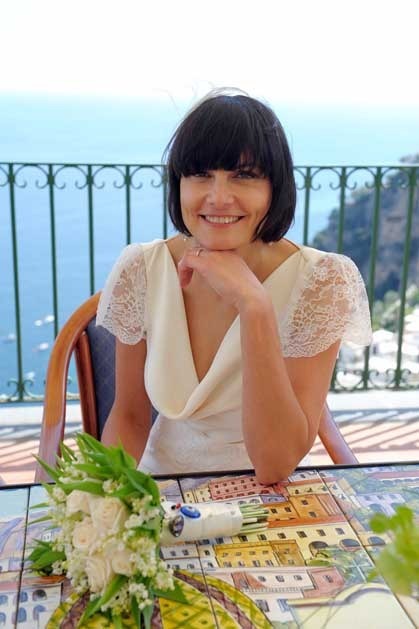 It may be lovely also to consider a winter wedding in Positano.